Artwalking, always done with your hands behind your back. 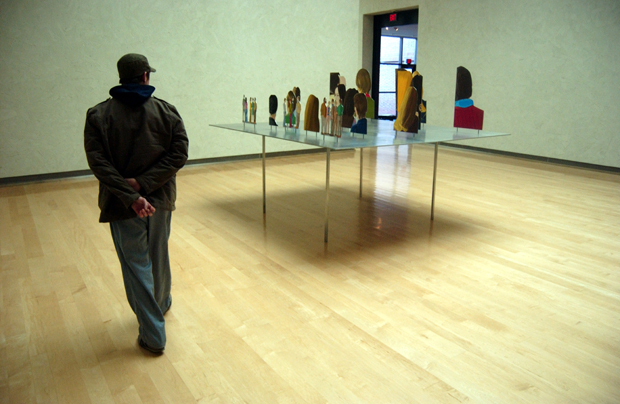 Artwalking at Colby College Museum of Art. A landfill outside of Bangor Maine you can see from I-95. Paul Bunyon, of Bangor Maine. A dance school above the Greyhound Station in Bangor Maine, and a view looking south in Bangor Maine.